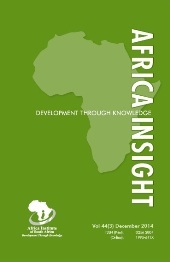 Abstract: Several decades after independence the African continent is in a desperate plight. Although a few nations have managed to make modest gains, the overwhelming majority of African countries are plagued with stagnant economies, low per capita income and political instability. This article investigates Africa's political, economic and social crises, from a perspective other than the oft-told tale of colonialism and its consequences as the main cause of the continent's problems. It argues that the failure of leadership among Africa's elites is the main reason why the continent is still at the runway. African leaders have created strong patron-client relationships; with no distinction between the public and the private spheres, mismanagement and embezzlement have been rampant at all levels. In particular the mistakes and the failure of the leaders of the second generation have proved to be the most persistent curse of and the deepest wound inflicted upon the continent. Africa needs a new breed of leaders aware of the way international politics and relations work. Africans need to alter their mentality and attitude vis-à-vis power and governance on the continent. Notes, ref.